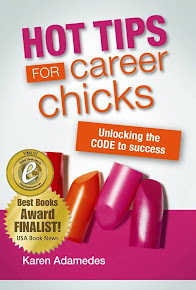 Career Chick Chat: A meeting is not a surprise party...send out an agenda in advance! How many meetings do you go to in a month, week or even each day? And how many of those are a joy to attend? A really valuable use of your time? Where you feel that the organizer is well prepared and put some thought into the time they have asked you to devote to the meeting? Someone decides it's a good idea to have a weekly meeting and everyone just rolls up. If there ever was a real purpose to the meeting it's been long forgotten but the meeting is still scheduled as a "catch up". And no one has put any time into preparation. Or someone wants an issue discussed so they invite everyone and anyone to attend and waste a lot of people's time. When it's you who is responsible for setting up or running a meeting - you have the power to change all that! One of the ways you can do that is to have an agenda. It seems pretty basic...but how many meetings do you go to where there is not one? Career Tip To Go: Prepare an agenda! An agenda can make a real difference to how effective a meeting is and how people view you and your level of professionalism. A meeting agenda should be sent in advance. You're not holding a surprise party - it is a useful reminder about where the meeting is to be held, who will be there, when and for how long. More importantly though, it sets very clear expectations about the topic that is to be covered and what is expected to be achieved in this time. And provides notice about any preparation that needs to be done in advance. Not only does this help others prepare for the meeting, it positively influences the perceptions about the meeting and the person responsible; you! The level of preparation you do for a meeting and how this demonstrates your understanding of the issues that are to be discussed and your respect for the time of the participants are all indicators of the likely value of the meeting and impact your credibility. (As well as helping you have a worthwhile meeting this seems like a pretty good reason to spend time on an agenda). Even if there's only a few people attending, it’s well worth the investment of a few minutes to prepare an agenda in advance, as opposed to scribbling something down as you walk into the room – or worse yet when you sit down at a table with a whole lot of expectant faces looking at you to lead off the discussion. (Yes guilty as charged I have done this when I've been busy and it never goes well!). titles of participants - unless people work in the same immediate team, include the titles of people attending on the agenda. This helps other participants know who is attending and can also provide indications of the seniority level of attendees and the breadth of issues being covered. It will help others prepare - reminder, it's not a surprise party. any outcomes / decisions that are required on the day. As well as your own objectives for the meeting or the obvious items that need to be included - think about what other people's expectations for the meeting are and what topics that they might think need to be included. Another great tactic is to ask people what they want included (saves guessing!) This is particularly important if there are people more senior in the ranks, or representatives from another company or department who will be attending the meeting. Or people from your team who don't get the purpose of the meeting. This gives you a chance to explain. People like being asked. They feel respected. Which is a great way for people to feel when they come to your meeting. It will help it be productive. And you'll find out topics that need to be included. It might be a little bit 1990's retro but this really is a win - win situation! It’s common courtesy to let people know if they have an item to talk to or something they need to bring to the meeting before the meeting. Depending on the size, importance and frequency of the meeting consider how far in advance you need to send the agenda out to allow people sufficient time to prepare. At a bare minimum for a regular meeting it should go out the day before so that people have time to read, reflect and complete any preparation that is required. For a one-off or high level meeting it may need to go out several weeks in advance. When will you find the time? When you send out an invite for people to attend the meeting, work out when you are going to prepare the agenda and book that time in your diary at the same time. If it doesn't take as long as you think...bingo you have some extra time in your day. If you don''t allocate that time how will you remember you need to do it? And with you diary no doubt filling up with meeting requests from others...where will you find the time? These are simple and basic tips for meeting agendas but people don't always do them. When you do it will help you have better meetings and reflect well on your personal operating style and professional reputation. Others will remember when you demonstrate that you value their time, are organized and run a good meeting. Prepare an agenda and you and your meeting will be good to go! 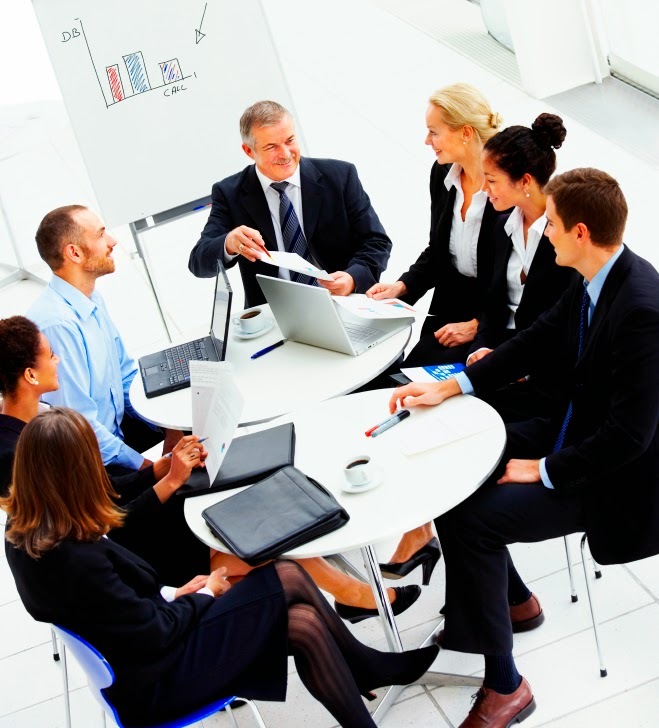 This post was originally published as 'Make business meetings worthwhile with an agenda' on Career Tips To Go!